The picture above shows Ivar Finneid, who is an architect, living in Bergen. 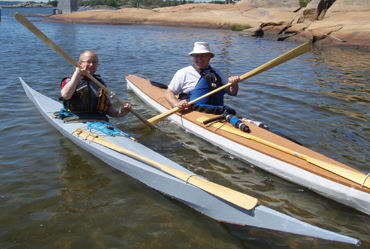 He has attended several kayak building courses. 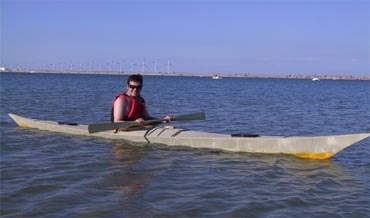 Here he is out paddling his latest craft, an East Greenland kayak. 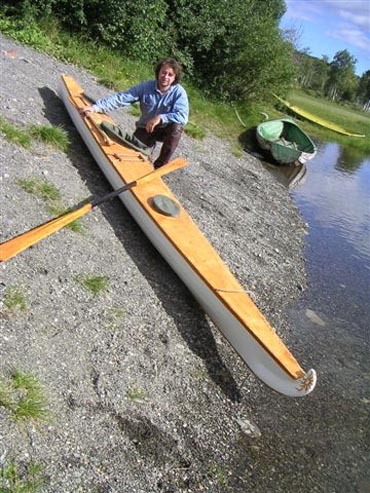 Claudio Rufa from Italy built this beautiful baidarka in Vestfossen, summer 2009. Here he is home in the Mediterrean Sea. Vitek Jindrle from Tjekkia built this beautiful craft at a course with Kajakkspesialisten. 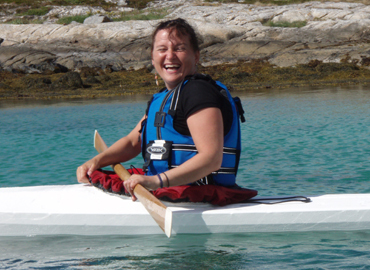 Ruth Kuhn lives in Northeast Greenland, and built the kayak at a course in Vestfossen. Here she's at home among polar bears and icebergs! 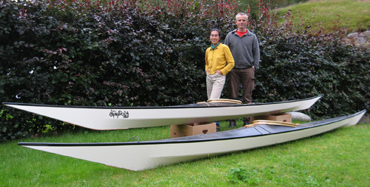 Ã˜ystein NÃ¸tsund and his cohabitant Ahn Loan Li each built their own kayak at a course. 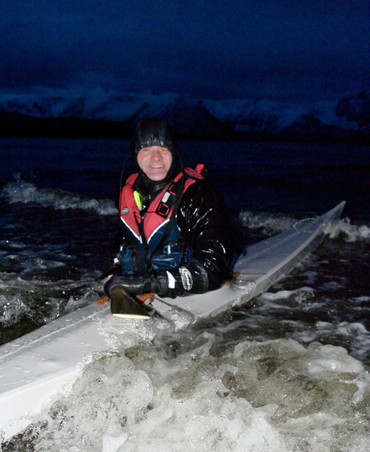 Remi Nyheim from VesterÃ¥len built this splendidly decorated kayak at a course. 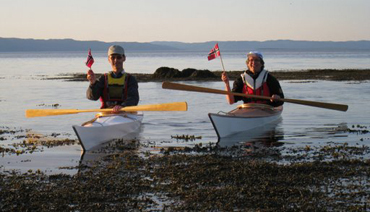 Ã˜yvin SÃ¦ther and Audun SÃ¸dal celebrate 17. mai (Constitution Day) in homemade kayaks in Trondheim. Erik Thoresen and Sigurd Henrichsen from Fredriksstad on a maiden voyage. 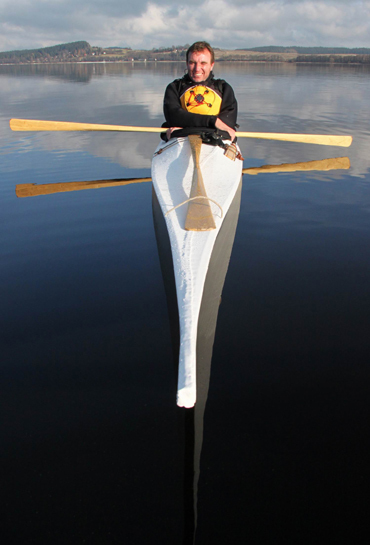 Anne Berit Heide from BrÃ¸nnÃ¸ysund on a maiden voyage with a kayak built on a course. 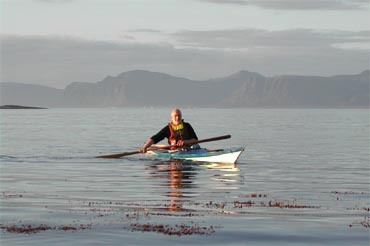 For Asle HÃ¥vard MiklegÃ¥rd from Sortland the dark hours are no obstacle to paddling! 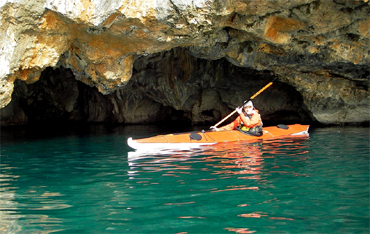 John Grooves from Canada built a kayak at a course, and later brought it home to Ontario. Reidar StÃ¸len sent this picture from an airy paddling experience. 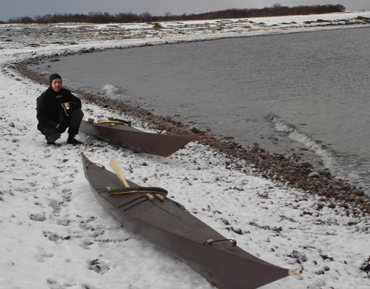 Pekka and Pirkko from Finland sent this beautiful picture of the kayaks they built at the course. Reidar Bertelsen is an archeologist, living in TromsÃ¸. 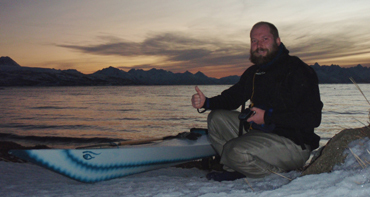 In 2002, he attended a kayak building course in Southern Norway, and built a Greenland kayak. Here he is, well home in TromsÃ¸. Hjörtur Gardasson is a smith from Iceland. 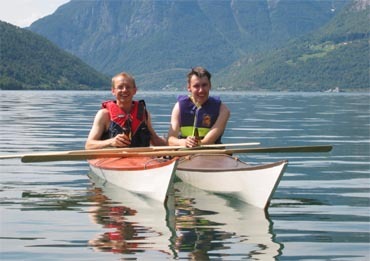 He built the West Greenland kayak in the photo on a course at Vestfossen, summer of 2006. Here he is paddling at the harbour of Copenhagen. Dag Hartmann is an archeologist, living in Vålådalen in Sweden. He built this beautiful baidarka on a course held by kajakkspesialisten in Sweden, 2005.